Did you take your vitamins today? It’s not always easy to remember with such busy lives, but after you read this blog, you’ll be sure to make vitamins part of your daily routine if you haven’t already! Two recent studies, published in the journals Nature and Cell, reported that vitamin C has a direct impact on the function of blood forming, or hematopoietic stem cells, and can be used to protect mice from getting a blood cancer called leukemia. As for the Cell study, scientists from NYU Langone Health “found that high doses of vitamin C can cause leukemic cells to die, potentially making it a useful and safe chemotherapy agent.” For more details on this particular study, see our blog from last week and the video below. 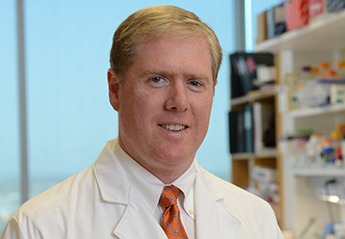 Dr. Benjamin Neel, director of NYU Langone’s Perlmutter Cancer Center, discusses how vitamin C may “tell” faulty stem cells in the bone marrow to mature and die normally, instead of multiplying to cause blood cancers. The common factor between the two studies is a gene called Tet2, which is turned on in blood stem cells and protects them from over-proliferating and acquiring genetic mutations that transform them into leukemia cells. If one copy of the Tet2 gene is genetically mutated, treating blood stem cells with vitamin C can make up for this partial loss in Tet2 function. However, if both copies of Tet2 are mutated, its protective functions are completely lost and blood stem cells can turn cancerous. Before you place your bulk order of vitamin C on amazon, you should be aware that Morrison and his colleagues found that giving mice super doses of the supplement failed to further reduce their risk of getting leukemia. Thus, it seems that having the right levels of vitamin C in blood stem cells and healthy copies of the Tet2 gene are vital for preventing leukemia. Vitamin C, a panacea for cancer? These two studies raise important questions. Do vitamin C levels play a role in the development of other cancer cells and could this supplement be used as a treatment for other types of cancers? 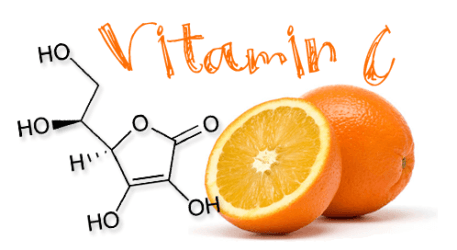 Since the 1970’s, scientists (including the famous American scientist Linus Pauling) and doctors have pursued vitamin C as a potential cancer treatment. Early stage research revealed that vitamin C plays a role in slowing the growth of various types of cancer cells including prostate, colon and brain cancer cells. More recently, some of this research has progressed to clinical trials that are testing high-doses of vitamin C either by itself or in combination with chemotherapy drugs in cancer patients. Some of these trials have reported an improved quality of life and increased average survival time in patients, but more research and trials are necessary to determine whether vitamin C is a truly effective anti-cancer therapy. Now that Morrison and his team have a better understanding of how vitamin C levels affect cancer risk, they plan to address some of these outstanding questions in future studies. Because leukemia, in mice, is caused by type C leukemogenic RNA viruses, has this aspect been examined for its relationship to leukemia induction? Double NOBEL LAUREATE Linus Pauling PhD was telling us this in the late 60s early 70s.